It’s AIs Vs. Mysterious Spiders in The Thousand Year Beach! It’s been more than a thousand years since the last human beings visited posh resort Costa del Número – leaving the AIs that run it alone in an endless summer – until now. Now, the resort is being attacked by army of mysterious Spiders. The Thousand Year Beach is an award-winning novel by TOBI Hirotaka. From VIZ Media’s Haikasoru imprint, it will be in stores on June 19th. Haikasoru To Release Juni Taisen: Zodiac War In October! Juni Taisen: Zodiac War – by NISIOISIN with illustrations by Hikaru Nakamura – will be released on October 10th by VIZ Media imprint Haikasoru. Unique Relationship Propels A Small Charred Face! A gentle vampire named Bamboo saves the life of a small boy named Kyo and a unique friendship is born in Kazuki Sakuraba’s novel A Small Charred Face (translated by Jocelyne Allen). A Small Charred Face is the next release from VIZ Media’s Haiksoru imprint – bringing the best of Japanese science fiction and fantasy to North America. It will be in stores on September 19th. VIZ Media Acquires Fullmetal Alchemist, Fire Punch and More at Anime Expo 2017! VIZ Media has acquired some top shelf material from its weekend at Anime Expo 2017. Announced titles include a hardcover collector’s edition of Fullmetal Alchemist; Sisyphean, a new science fiction novel for the Haikasoru imprint and Fire Punch, a dystopian thriller that will be launched under the VIZ Signature imprint – plus two titles (a volume of haiku and an activity book) inspired by the global hit mobile game Neko Atsume: Kitty Collector. and the ‘gender-swapping shojo manga series’ Kenka Bancho Otome: Girl Beats Boys. Orbital Cloud – A Different Kind of Space Invasion! When Kazumi Kimura, proprietor of shooting star forecast website Meteor News, notices some suspicious orbiting space debris, rumors spread online that the debris is actually an orbital weapon targeting the International Space Station. Before long NORAD is checking it out and the Japan Aerospace Exploration Agency, and CIA become involved. Orbital Cloud posits a near-future scenario where the nations of the Earth must join together in the face of terror from space. 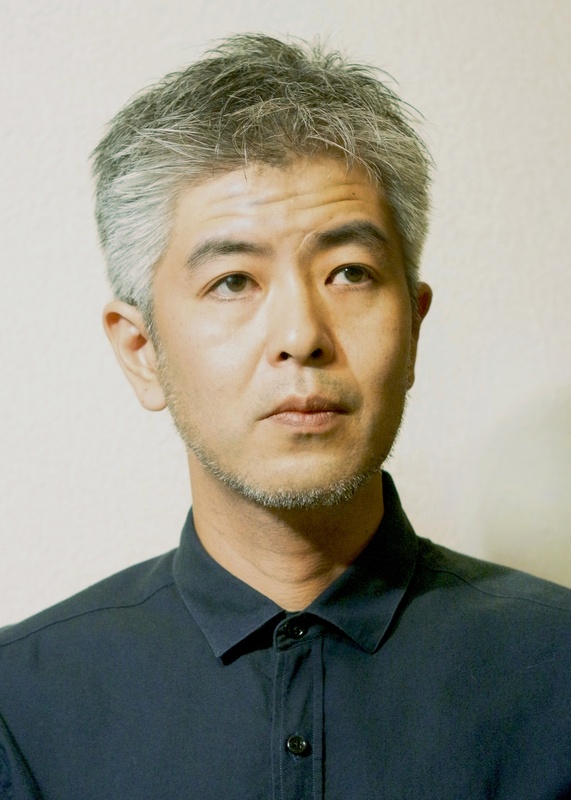 Written by Taiyo Fujii, author of the award-winning novel Gene Mapper, Orbital Cloud will be released by VIZ Media’s Haikasoru literary imprint on March 21st. Miyuki Miyabi’s New Supernatural Mystery The Gate of Sorrows Available Now! VIZ Media’s Haikasoru imprint has released the new novel by acclaimed author Miyuki Miyabi (Apparitions: Ghosts of Old Edo), The Gate of Sorrows. The supernatural mystery is built around a series of murders in Tokyo’s Shinjuku ward. Retired police detective Shigenori is, however, more obssessed with a gargoyle that seems to move – while college freshman Kotaro launches a web-based investigation of the killer. The Gate of Sorrows is in bookstores now – and is also available digitally for the Amazon Kindle, Apple’s iBooks Store, Barnes & Noble’s Nook Book Store, the Kobo eBooks Store, and the Google Play store. Follow the jump for more. Japanese Space Opera Legend of the Galactic Heroes: Dawn Coming in March! The first volume of the celebrated Japanese space opera Legend of the Galactic Heroes: Dawn is set to hit stores in March. The setting is the thirty-sixth century, when humanity has conquered the galaxy. The Galactic Empire is at war with the Free Planets Alliance. Reinhard von Lohengramm, The Golden Brat,’ is a military prodigy and admiral of the Galactic Empire with plans to not only win the war but to take control of the empire himself. Yang Wen-li of the Free Planets Alliance, wishes to preserve democracy even if he must sacrifice his political ideals to defeat the Empire. Published in North America by VIZ Media’s Haikasoru imprint, Legend of the Galactic Heroes: Dawn will be in stores on March 8th – with volumes three and four to follow later this year. Follow the jump for further details. Haiksoru Announces Anthology Hanzai Japan – Futuristic Crime Stories in Japan! Haikasoru brings some of the best of Japanese sci-fi, fantasy and horror to North American readers. 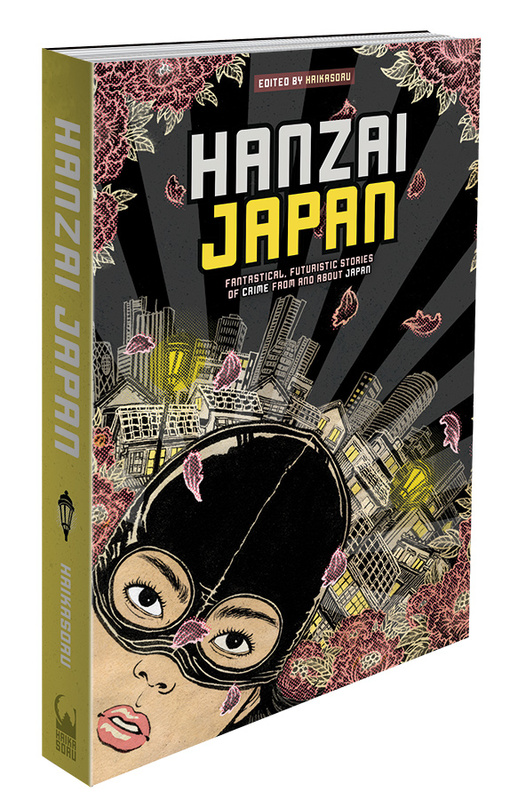 With its new anthology, Hanzai Japan, it focuses on stories of fantastical, futuristic crime in Japan from an array of eastern and western authors – including North American favorites Carrie Vaughn (the Kitty Norville series), Jeff Somers (the Avery Cates series, The Ustari Cycle), and Naomi Hirahara (the Mas Arai mysteries). Hanzai Japan will be released both in print and eBook form on October 20th. Follow the jump for details. Haikasoru Author Taiyo Fujii To Appear at Sasquan, the 73rd World Science Fiction Convention! Taiyo Fujii, author of Gene Mapping – available in North America on VIZ Media’s Haikasoru imprint, will be appearing at Sasquan, the 73rd World Science Fiction Convention to be held in Spokane, WA from August 19th-23rd. Fujii will give a reading from Gene Mapper on Thursday, August 20th; appear on several panels – Self-Publishing – When To Do It, When To Publish Traditionally; The Future of Publishing; SpoCon Presents – SubGenre Games, and Seiun Awards & Publishing SF in Japan – as well as hosting a Kaffe Klatsch discussion about his work and hosting the Haikasoru booth in the main Dealer’s Room. 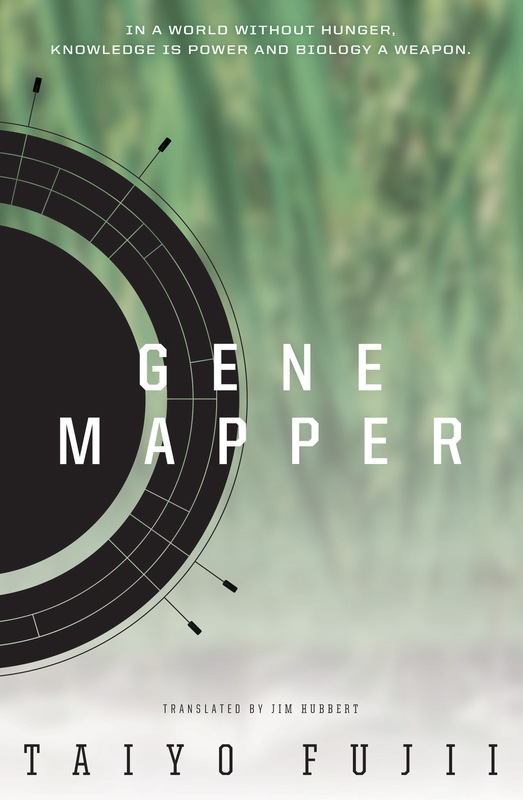 Haikasoru Debuts Award-Winning Gene Mapper June 16! A deadly mutation threatens the world’s food supply and leads a geneticist on a quest to determine whether the cause is nature or sabotage in Taiyo Fujii’s novel, Gene Mapper – winner of a 2014 2014 Nihon SF Taisho Award (presented by Science Fiction and Fantasy Writers of Japan). Gene Mapper is coming to North America in both print and digital versions, through VIZ Media’s Haikasoru imprint, on June 16th. Follow the jump for more details. 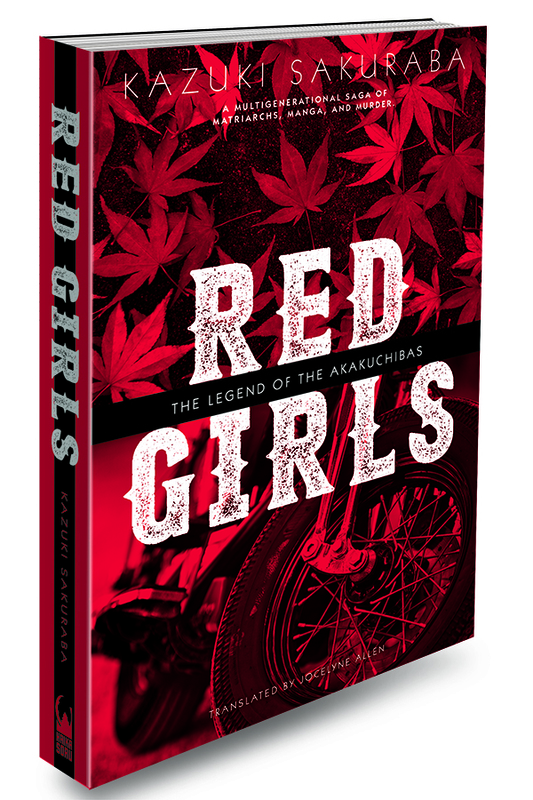 Haikasoru To Release Award-Winning Mystery/Thriller Red Girls: The Legend of the Akakuchibas! One was an abandoned baby who grew up to marry into an illustrious family (and became clairvoyant); one joins a motorcycle gang and becomes a famous manga artist; one is a nobody. These are three generations of women of the Akakuchiba family. Only the third, granddaughter of the first, is worthy of the trust to keep a deadly secret. This is the basic set up for Kazuki Sakuraba’s mystery/thriller, Red Girls: The Legend of the Akakuchibas coming from VIZ Media’s Haikasoru imprint on April 21st. Further details await just past the jump.